Your donation helps us with our costs. Simple lunch included. 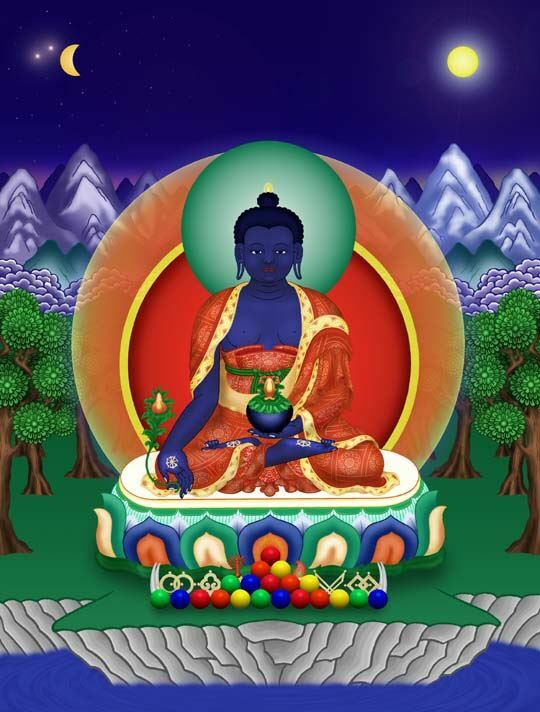 Medicine Buddha is an enlightened being who has unbiased compassion for all living beings. He protects living beings from physical and mental sickness and other dangers and obstacles, and helps them to eradicate the three poisons – attachment, hatred, and ignorance – which are the source of all sickness and danger. He is a Buddha Doctor. Geshe Kalsang Rapgyal will guide us through the practice over the course of four sessions during the day. All are welcome! Cost: A $40 donation helps cover our costs and includes a delicious, vegetarian lunch. Please contact us for a partial scholarship at DrepungGomangCompassion@gmail.com.